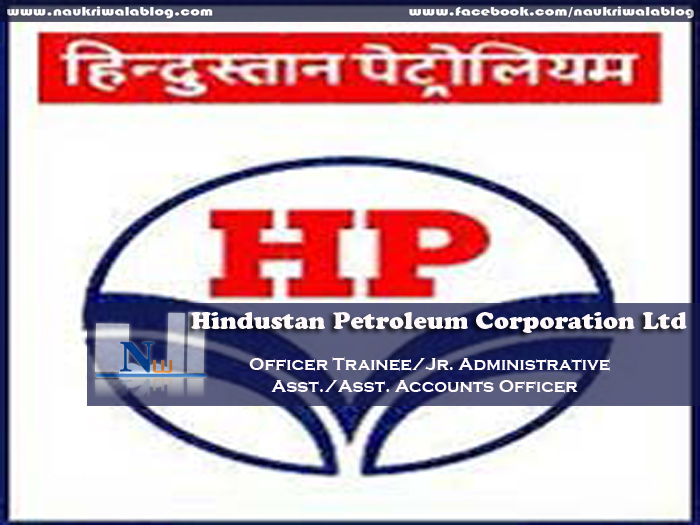 HPCL is a Government of India Enterprise with a Navratna Status, and a Forbes 2000 and Global Fortune 500 company. It had originally been incorporated as a company under the Indian Companies Act 1913. It is listed on the Bombay Stock exchange (BSE) and National Stock Exchange (NSE), India. HPCL owns & operates 2 major refineries producing a wide variety of petroleum fuels & specialties, one in Mumbai of 6.5 MMTPA capacity and the other in Visakhapatnam, with a capacity of 8.3 MMTPA. Qualification : Regular Four years full time Bachelor Degree in Engineering / Technology branch from a recognized Indian University / Institute. And Degree or Diploma in industrial safety recognized by the State Government of Tamil Nadu and Uttar Pradesh under their Factory rules or Central Labour Institutes or Regional Labour Institutes. Qualification : Regular full time Bachelor Degree in Engineering / Technology/ Science with minimum 60% in aggregate of all the semesters/ years, for Unreserved and OBC-NC candidates (50% for SC, ST & PWD candidates) from a recognized Indian University / Institute. And 2 years Full Time Post Graduate Qualification Degree / Diploma in Packaging minimum 60% in aggregate of all the semesters/ years, for Unreserved and OBC-NC candidates (50% for SC, ST & PWD candidates) from a recognized Indian University / institute. Qualification : Two year full time, Post graduate Degree /Equivalent course in HR /Personnel Management / Industrial Relations/Psychology OR Masters in Business Administration (MBA) with specialization in HR/Personnel Management from AICTE approved / UGC recognized institute / university. Qualification : Graduate in any Discipline from a recognized University / Institute with minimum 60% marks (aggregate of all the semesters / years for Unreserved and OBC-NC candidates (50% for SC, ST & PWD candidates) and Inter CA with 3 years of articleship as per ICAI rules. Qualification : ITI in Mechanical Trade with 50% aggregate marks of all semesters / years. Application Fees : Applicants / Candidates are required to pay a Non-Refundable Amount of Rs.605/- (Application fee inclusive of service tax and bank charges of Rs.35/-). SC, ST & PWD candidates are exempted from payment of application fee. Payment through challan at State Bank of India (SBI): Under this option candidates are required to take a print of ‘2 part challan’ (1.Candidate copy, 2.Bank copy) along with filled application form. 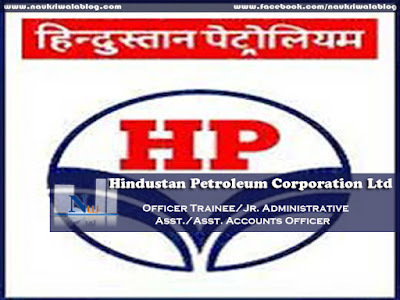 Non-Refundable Amount of Rs.605/ - (Application fee inclusive of service tax and bank charges of Rs.35/-) for General & OBC candidates is to be deposited through preprinted challan in HPCL Powerjyoti A/C Number 32315049001 at any branch of SBI across country after two working days from date of online application. Candidates are required to ensure that bank puts ‘payment received’ stamp and Journal no. on two parts of challan. Candidates are required to collect the ‘Candidate’s copy’ and ‘Bank copy’ of 2 part challan from bank and preserve the same for future reference. Online Application System will be open from 1200 hrs. on 31st July 2015 to 23:59 hrs. on 15th September 2015.